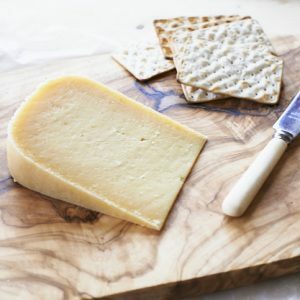 Cáis na Tíre translates from Irish Gallic as ‘cheese of the country’. 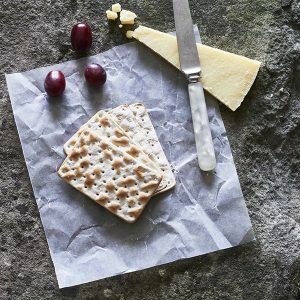 Marion Roeleveld makes this unique cheese with sheep’s milk from Barry & Lorraine Cahalan’s small farm in County Tipperary. Cáis Na Tíre is aged on-site until it’s six months, old it develops rich, toasty and caramel notes as the sweetness of the sheep’s milk starts to display. Made by Marion Roeleveld in Ballyshrule, Galway, Ireland. In 2013 Barry Cahalan and Lorraine Davis left agricultural college to set-up on their own on family land in Borrisokane, north Tipperary (Ireland). Wanting to go into dairy farming but unable to afford the capital investment needing to set up a dairy farm they looked at other ways of setting up. Then they struck upon the though of milking dairy sheep, which requires much less investment and startup costs than building a cow dairy herd. So they set about building a shed, and then bought a handful of Lacaune and Friesland dairy sheep. Farmed seasonally from Spring to Autumn the sheep are kept out at pasture feeding on the fresh grass of the Tipperary plains. They were lucky enough to be located close to, and good friends with, Marion Roeleveld, who makes the fantastic Killeen Goats Gouda. Working with Marion, and using the fantastic rich milk from their dairy sheep, a new cheese was soon born: Cais Na Tíre. 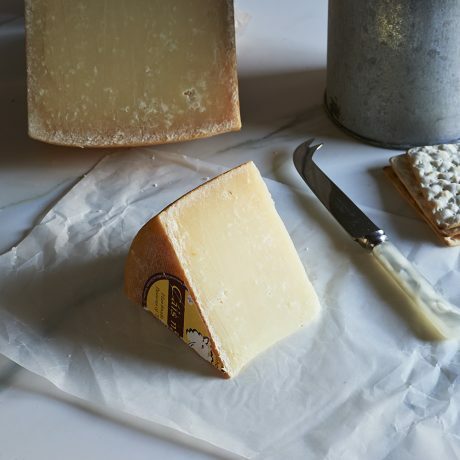 Not as supple as Marion’s Gouda recipe (the curd isn’t washed like Gouda), Cais Na Tíre has a flakier texture and is similar to the hard sheep’s milk Tommes of the south of France. 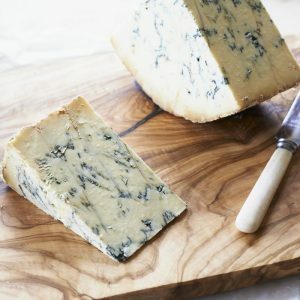 Normally sold aged to three months, at The Courtyard Dairy it is further aged to 9 months before being sold, to ensure extra depth of flavour. 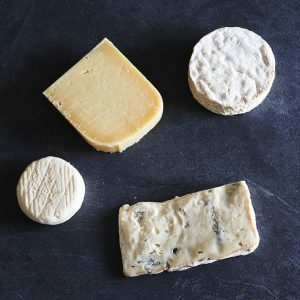 At present Barry and Lorraine only have 200 sheep, which means that only a very small amount of Cais Na Tíre cheeses is made each week; it’s a rare find. My husband made Creamy Cais Na Tíre Pasta Carbonara last night and It was a grand dish of food . Wonderfully tasty and we will definitely be buying some more of this delicious cheese.